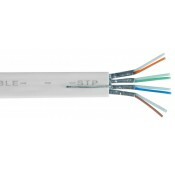 250ft 32AWG CAT7 STP Stranded, 0.075" Super Flat Bulk Ethernet Bare Copper Cable - White. 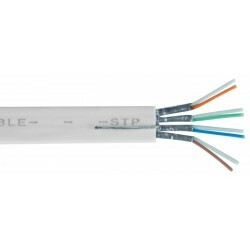 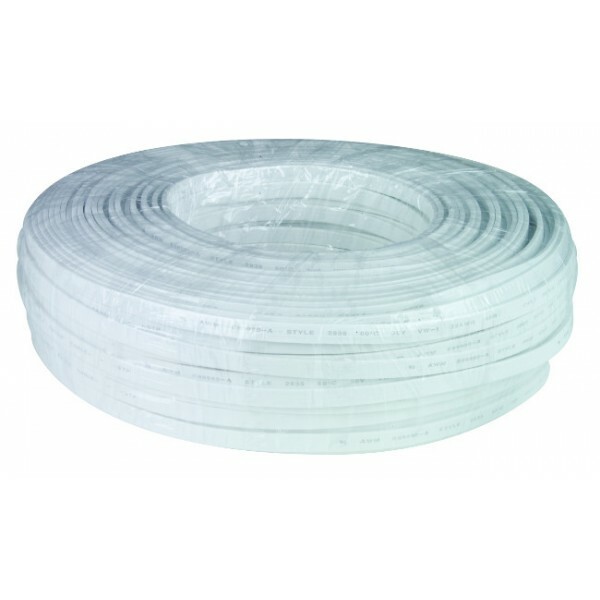 These super flat CAT7 noodle cables are only 0.075" thick and are ideal for hiding under carpets. 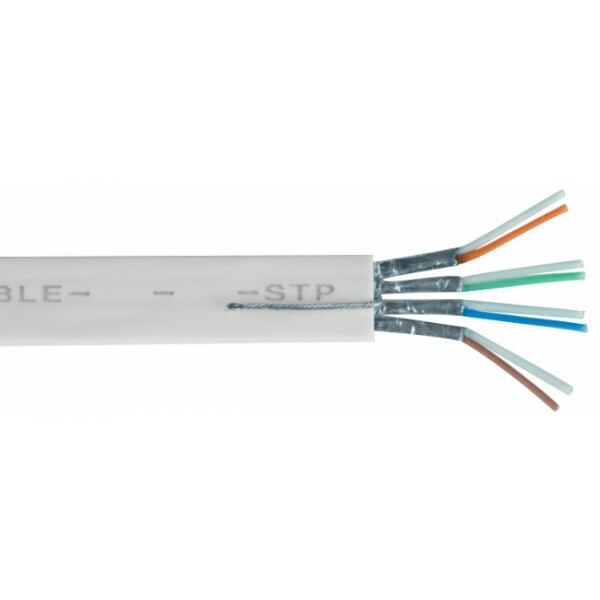 Note: VPI currently does not offer compatible RJ45 plugs for this cable.